Financial translation services play an important role in the success of business, accounting and insurance transactions. What would happen if your entire case literally hung on a word? 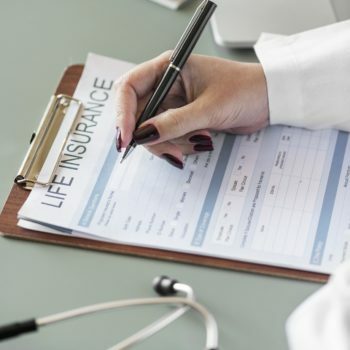 Many seemingly universal words boast broad or multiple meanings, so care must be taken when translating legal, financial and insurance documents. Experienced financial translators are intimately familiar with both the language and the legal and financial lingo—while well-meaning non-native speakers may miss a word’s culture-specific meaning. For instance, when is a “guarantee” not a “guarantee?” The answer: When it’s translated from Italian to English. as a loan guarantor. When the loan document was translated literally from Italian, it stated that the bank guaranteed the loan. However, the word “guarantee” has different meanings in Italian than it does in English, and a literal translation did not accurately convey the document’s meaning. The court dismissed the case, deciding that an Italian “guarantee” was different than an English “guarantee”—and the bank was not responsible for the loan. In another case, The Wall Street Journal reports how the Deutsche Bank CEO denied in a 1998 interview that his company engaged in “Ubernahmegesprache” with Banker’s Trust. The word is roughly translated from German as “takeover talks;” however, the Deutsche Bank lawyers believe it had a more specific meaning: formal and structured talks along with an exchange of confidential documents. In reaction to his comments, and thinking no merger was in sight, some investors sold their Bankers Trust stock. Just over a month later, Deutsche Bank announced their takeover of Bankers Trust. Feeling that they were purposely mislead in an effort to drive down the Bankers Trust stock price, investors filed a class-action suit. When Deutsche Bank asked the judge to dismiss the case, the judge stated, “The plaintiff’s interpretation of the phrase ‘Ubernahmegesprache’ is at least as plausible as the defendant’s and is supported by sworn evidence.” A jury will decide the case that literally hinges on a single word and its translation. Contact our financial translation service today to translate a foreign insurance policy to English and to obtain document translation services in any language, including German, Italian, Mandarin Chinese, Korean, French, Japanese, Spanish.